You're sick of sitting in class or university and making notes the whole time? That's over now. Only write down the most important things and let your iPhone do the rest. 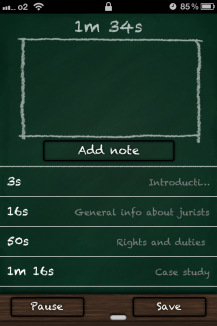 With the Lecture Recorder, making notes will become a walk in the park. 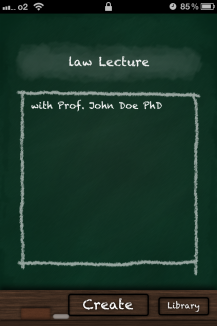 Label your recordings with a name, that fits, add some additional information, like "Lecture on Law by John Q. Public, PhD" and you're good to go. Press "Record" and the app records the lecture for you. During the recording, you can add further notes, whenever you need. 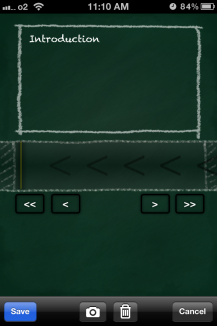 Plus, you can make photos and add them to the recording as well! 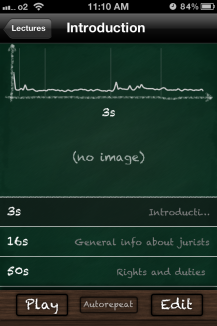 The app remembers at what point during the lecture you added notes and pictures, so you can always go back and take a look. Of course, you can add your notes to a specific point later on. Select a note or picture and listen to the recording from that point on. Additionally, thanks to the repeat-function, you can listen to the same part over and over again. All your recordings are stored in a library, so you have quick and easy access to them, whenever you need it. 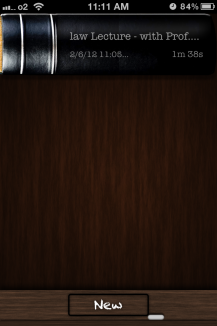 This app can record in the background as well. Warning: Having this app run in the background may drastically decrease battery life.